COOLIDGE – The road into Casa Grande Ruins National Monument as well as the parking lot need repaving to address potholes, cracks and years of wear, but the project keeps getting pushed back for lack of funds, said Dave Carney, the facility’s chief of education and interpretation. It’s the same story with wood slats providing shade at picnic pavilions and a ramada where tours begin. Those could use a new paint, Carney said, pointing out the weathering and peeling. Then there’s the monument’s namesake: the huge, earthen house constructed by Sonoran Desert dwellers in the mid-14th century. Workers are keeping up with plastering needed to keep the exterior in good repair, but the facility could use more metal and wood supports as well as bricks to stabilize large walls, Carney said. 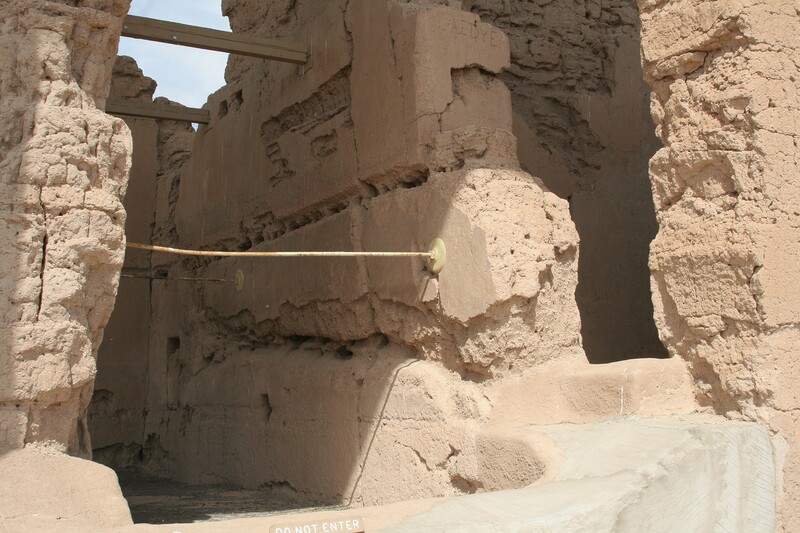 In all, Casa Grande Ruins National Monument has $2,010,699 in deferred maintenance, according to a list released recently by the National Park Service. Of the $11.5 billion listed nationally, $516 million is for Arizona parks in Arizona – $329 million of it at Grand Canyon National Park, which is said to need improvements to roads, water systems and more. Maintenance needs at the Grand Canyon were fifth-highest in the nation, just behind the National Mall, Yellowstone National Park, Gateway National Recreation Area in New York and Yosemite National Park. 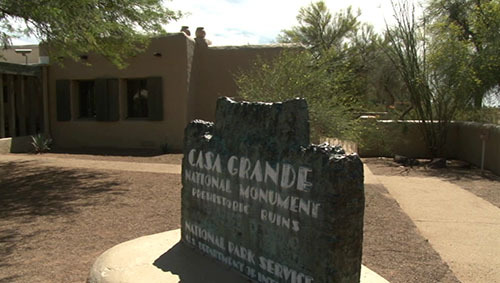 Kevin Dahl, Arizona program manager for the National Parks Conservation Association, said deferring repairs at parks such as Casa Grande leads to more damage over time. “Rather than making patch after patch, these things should just be replaced,” Dahl said in telephone interview. 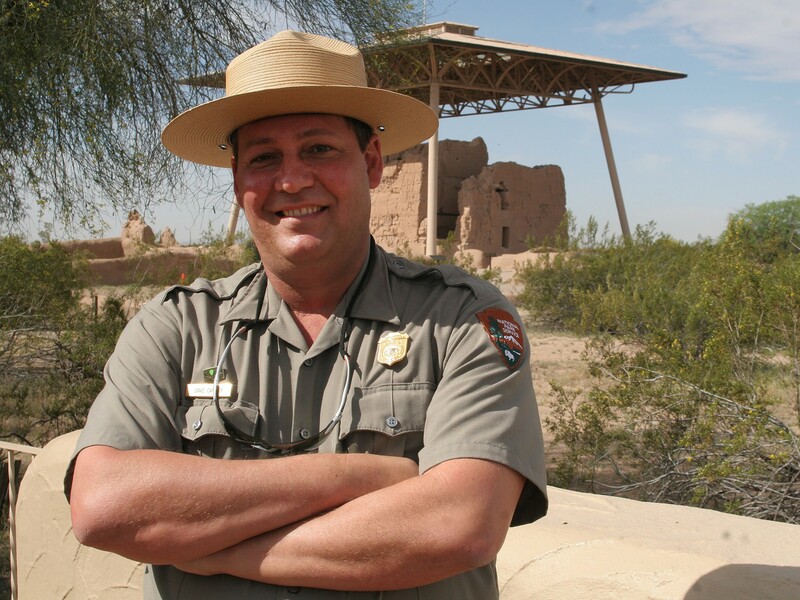 While the Grand Canyon is by far the biggest draw among Arizona’s parks, with 4.76 million visitors in 2014, Coolidge relies on the visitors to Casa Grande Ruins National Monument, a total that stood at 64,000 last year. “That’s how we survive as a city without a lot of industry,” Mayor Jon Thompson said. He said keeping up the park is important to the city, even if it means raising the money by increasing the entry fee from the current $5 per person age 16 and older. “The historical value brings a lot of people into this area, which they would never ordinarily come to if it wasn’t for the ruins,” Thompson said. Carney pointed out a crack in the brick-and-stucco wall surrounding the park and deteriorating paint on the buildings, which are more than 80 years old, as examples of maintenance needs. They aren’t major, but they add up and will only get worse if not fixed. The park has been able to address urgent needs, he said, such as repairing an ailing air-conditioning unit in the visitor center. David Vanriper, a Colorado resident visiting the ruins on a trip to see national parks around the country, said maintenance should be more of a priority, adding that this park is in pretty good shape but could use a new parking lot. “I think it’s very sad that we can spend all this money on wars but we don’t spend money on taking care of our national heritage,” Vanriper said. Ron Balazs, visiting from Seattle, said the government should be able to come up with more money and stop deferring maintenance at parks. For now, Carney said, the priority at Casa Grande is keeping the ruins standing. “If the ruins fall down – well, there goes the resource that everybody comes here to see,” he said. 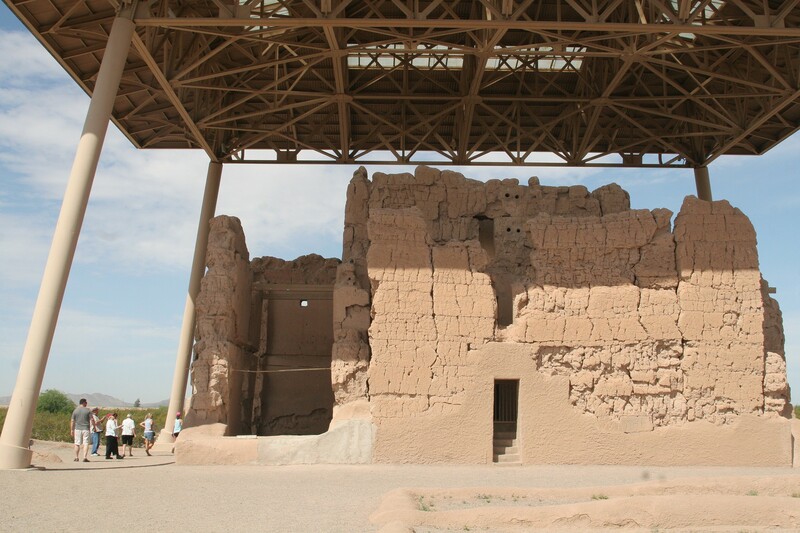 Of more than $11 billion worth of deferred maintenance the National Park Service wants to address around the country, $2 million of it is for the Casa Grande Ruins National Monument in Coolidge. See what park officials would like to fix there. Dave Carney, chief of education and interpretation at Casa Grande Ruins National Monument, says despite a backlog in deferred maintenance the park has been able to keep up with the needs of its namesake structure. One of the most important pieces of maintenance at Casa Grande Ruins National Monument is keeping the large earthen house standing. While a park official says that work has continued, the National Park Service says the facility has a backlog of more than $2 million in deferred maintenance. Visitors examine the large earthen house at Casa Grande Ruins National Monument. A lighter area on the wall at bottom left shows plastering that’s needed to maintain the structure.